Geelong Town Hall was designed by prominent Melbourne architect Joseph Reed and construction of the first stage, offices facing Little Malop Street and a large hall, commenced in 1855. The building was finally completed in 1917, substantially to Reed's original design, seven years after the town was proclaimed a city. Geelong was declared a town in 1838 and the first land sales occurred the following year. The town was incorporated in 1849 and the first council met in 1850, subsequently commissioning Reed to prepare plans for a town hall building. The foundation stone was subsequently laid in April 1855 by the mayor, and the south wing was completed by the end of the year. In 1915-17 the design was completed by local architect, T. D. Slevin. It involved the construction of a large section of building to the north of the existing wing, the completion of the east facade facing Gheringhap Street, and the slightly amended north facade of the original design. Further works were undertaken in 1968-69 with the construction of a west wing and internal modifications of the earlier building, including replacing the original hall. The architects Buchan, Laird and Buchan were responsible for this work. 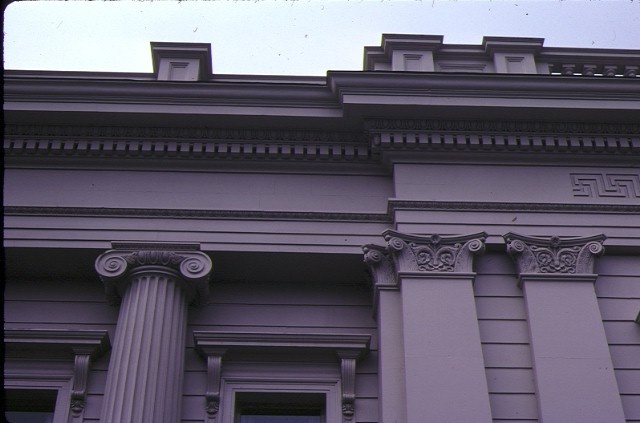 Reed adopted the Renaissance Revival style in his design for the Geelong Town Hall. The original south wing, a bluestone building with freestone facade, is set on a rusticated podium and incorporates a central section with four fluted Ionic columns set in antis between side pavilions. 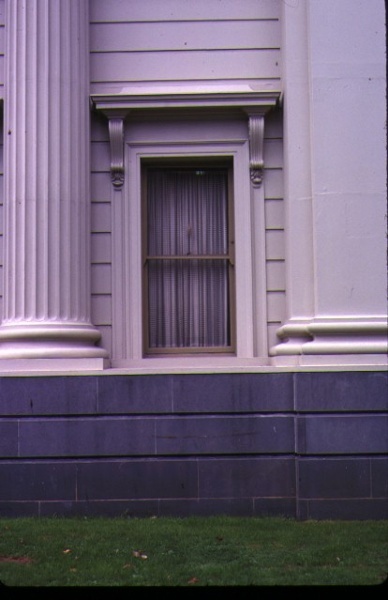 Plain paired Corinthian pilasters of the latter provide contrast to the rusticated facade. An entablature and parapet top the facade and incorporate Greek friezes and balustraded sections above the side pavilions. The north facade, altered slightly from the original design, contains a central colonnade which projects beyond the side pavilions to include the council chamber and a reception room. The east, or main, facade is dominated by a central hexastyle Ionic portico. 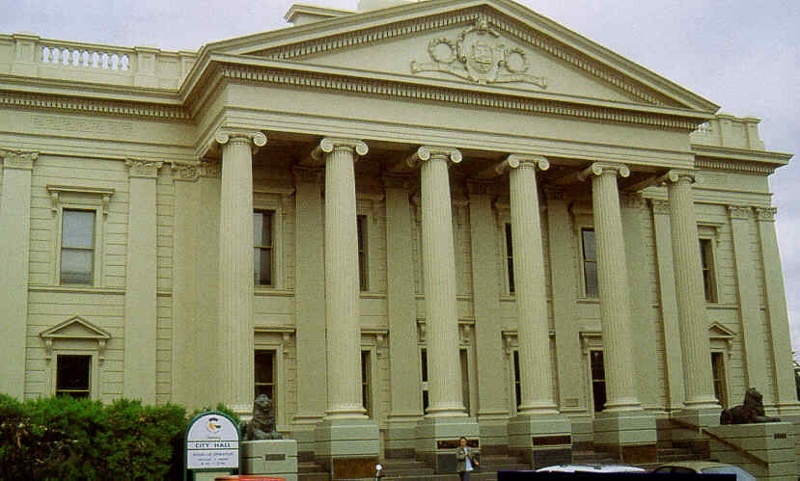 Geelong Town Hall is of architectural and historical significance to the State of Victoria. Geelong Town Hall is of architectural significance as an important, early and extant work of the accomplished Melbourne architect, Joseph Reed. 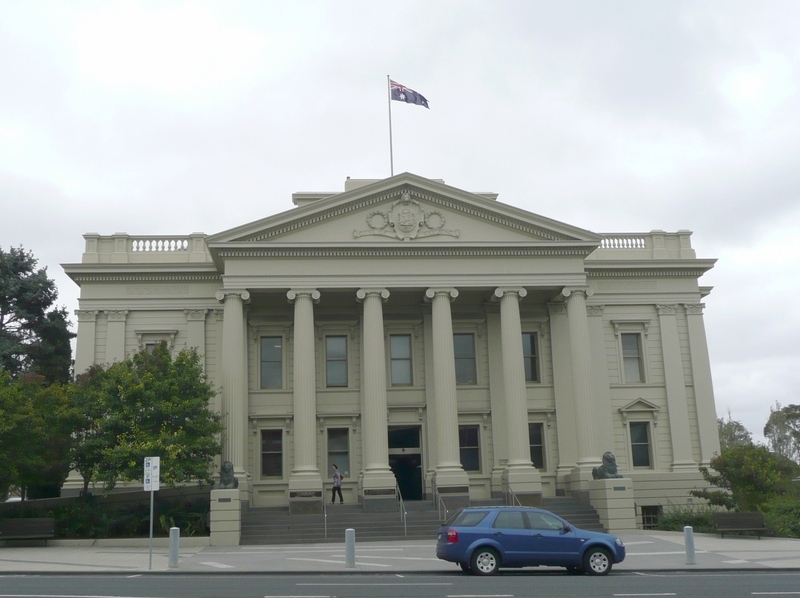 It is pre-dated by his design for the State Library of Victoria, 1854 (H1497) and pre-dates his design for the Melbourne Town Hall (H0001) by ten years. 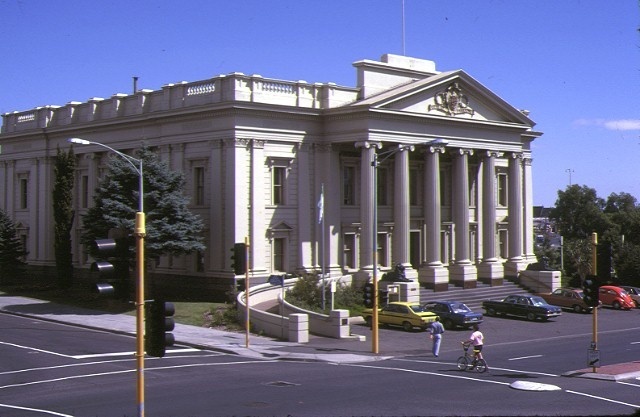 The Geelong Town Hall demonstrates the highly suitable adoption of the Renaissance Revival style in the design of an important public building. Geelong Town Hall is of historical significance as Victoria's earliest surviving municipal building. The Geelong Town Council has had its headquarters at the Gheringhap Street site since 1855 and the southern section has been used continually for municipal purposes since this date. City of Geelong. No. 184.Town Hall (Southern facade), Geelong, Gheringhap Street corner Little Malop Street, Geelong.